Garden on Grand - between Pinch Penny and Papa Johns, where Piles Fork Creek re-surfaces on north side of Grand Avenue. 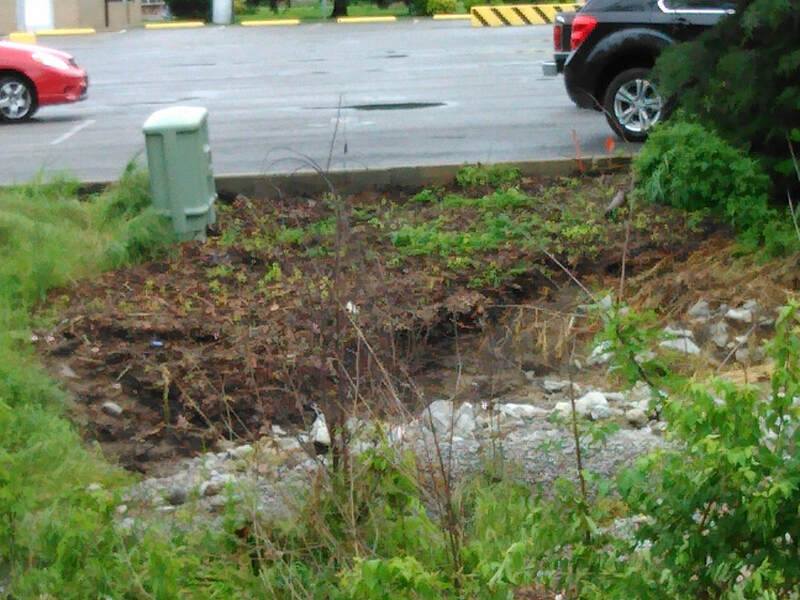 Flash flooding in late April 2017 removed soil down to the culvert (see below, middle). 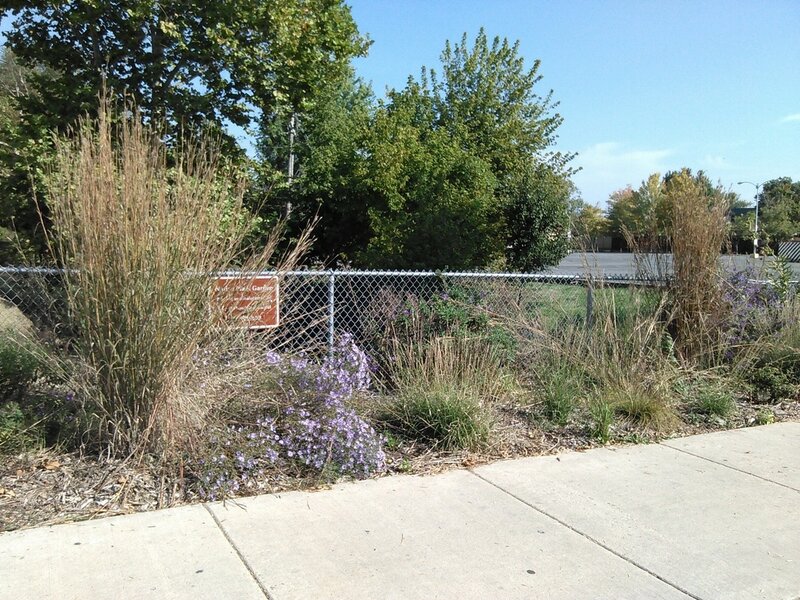 The amazing bluestem maintained its integrity, even when the earth dropped out from under it. 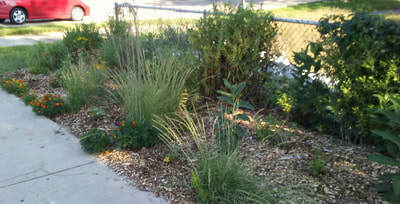 We salvaged many plants, putting them in pots off-site. 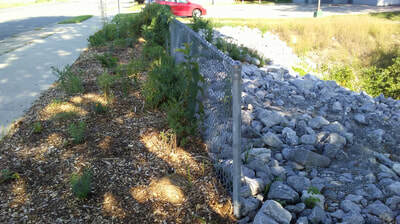 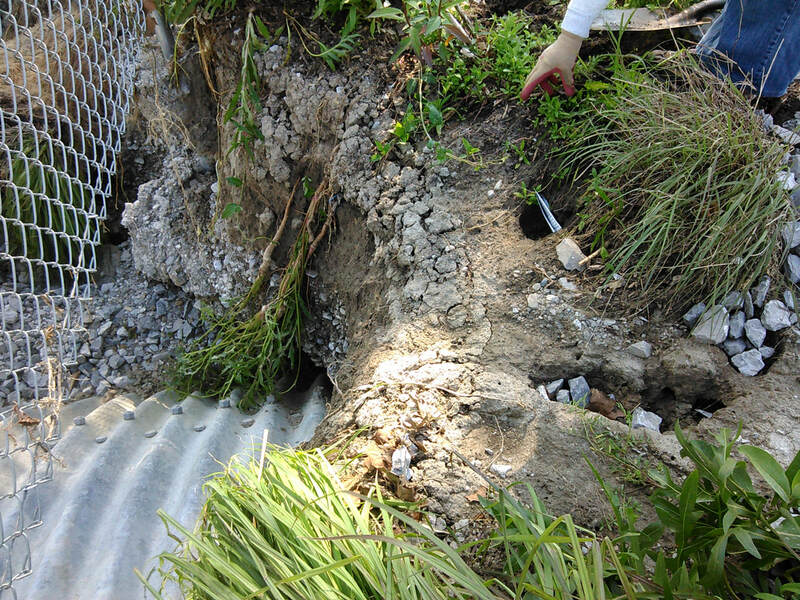 The City filled in riprap and dirt, and we started again: topsoil, plants, mulch. 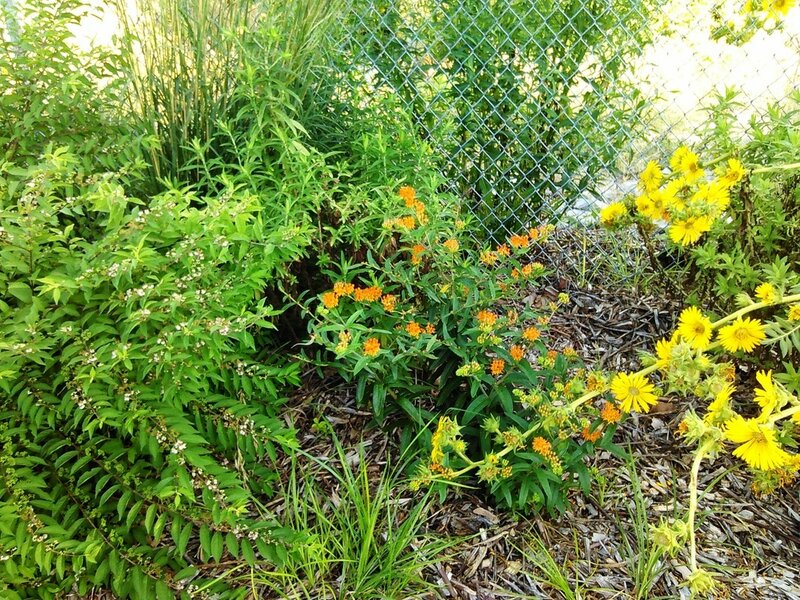 ​The photos below were taken in 2015 before a driver mistook the garden for a driveway and took out sign and fence, not to mention several plants. We recovered from that (but lost the sign). 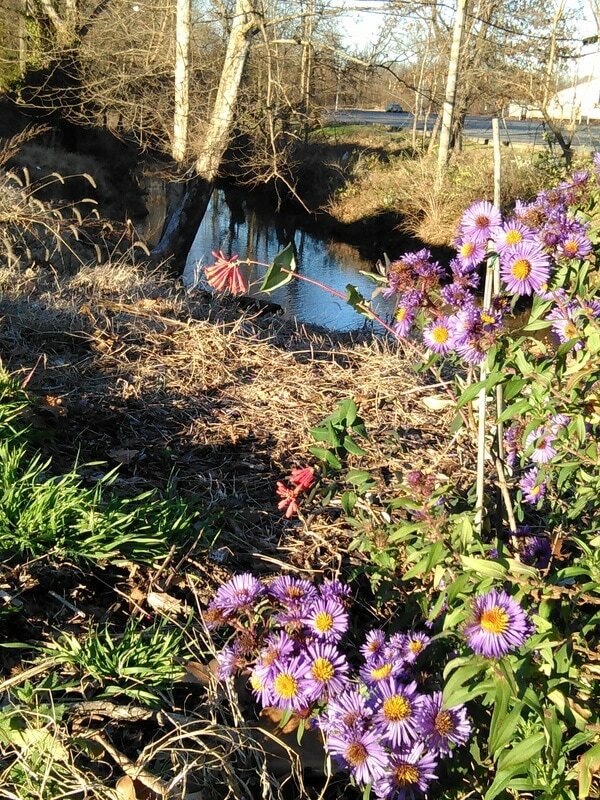 One native honeysuckle plant succumbed to spraying in 2016.
parallel to Piles Fork Creek (aka Pyles Fork Creek). 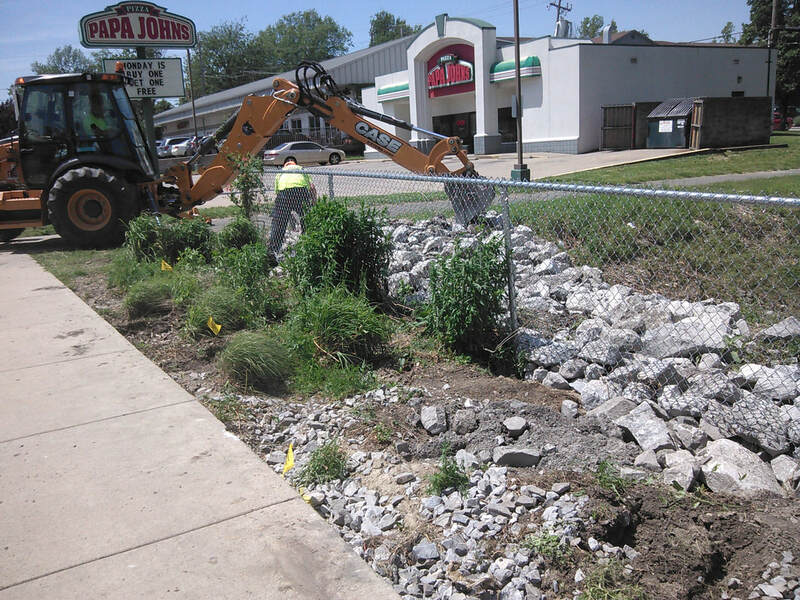 Starting in 2013, Keep Carbondale Beautiful sought to highlight both ends of the Greenways trail, but the south end, at Grand Avenue, has been more successful. 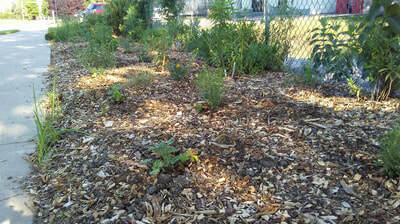 Amazing what a layer of wood chips can do, just sitting on top of clay and rocks. 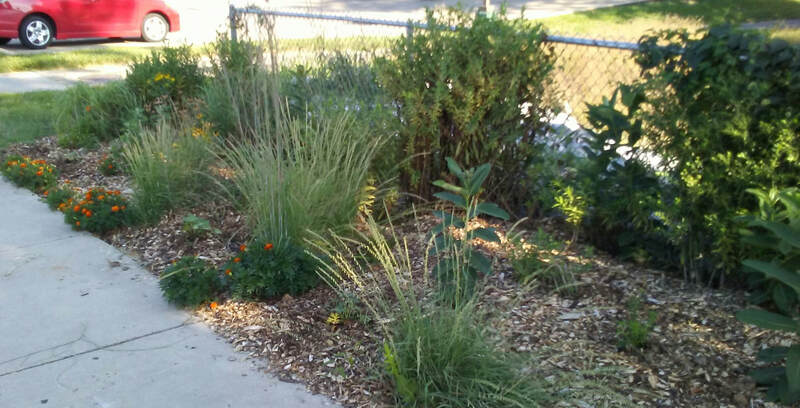 We planted a lot, but the ones that made it were grasses (big bluestem, prairie dropseed, little bluestem) and flowers (asters, black-eyed susan, compass plant). In 2014 we added milkweed, butterfly weed, and beautyberry. 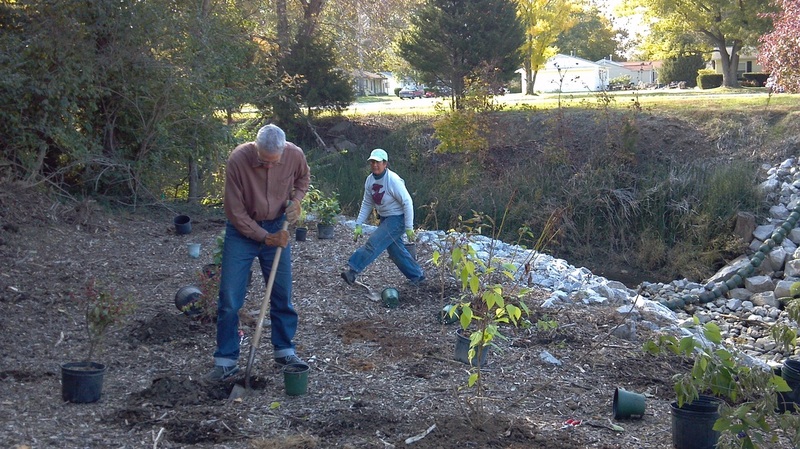 Sonja and Lee planting shrubs at the Dorthella end of Greenways Trail. Fall 2013. May 2015 -- The plants came back (most of them). 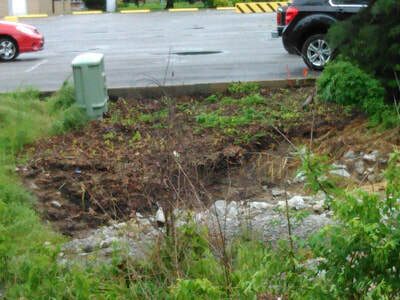 More work to be done.